At Lady Forster Kindergarten we deliver a play-based learning curriculum. The curriculum encompasses all the interactions, experiences, activities, routines and events, planned and unplanned, that occur in our environment and is designed to foster children’s learning and development. Play-based learning is a context for learning through which children organise and make sense of their social worlds, as they engage actively with people, objects and representations. Physically active play allows children to test and develop all types of motor skills. It promotes significant health and wellbeing benefits. One of the greatest benefits of playing is to assist with the development of social competence. Children can build relationships, learn to resolve conflicts, negotiate and regulate their behaviours. In play, children usually have increased feelings of success and optimism as they act as their own agents and make their own choices. Playing is a known stress release; it is often linked to child wellbeing. The dispositions for learning, such as curiosity, openness, optimism, resilience, concentration, and creativity (SACSA, 2009), are developed in play. Playing is linked to the development of resilience and the beginnings of empathy as children begin to understand other points of view. The Early Years Learning Framework has a strong emphasis on play-based learning, a context for learning that is embedded in all aspects of Lady Forster Kindergarten’s programs and curriculum. The framework also recognises the importance of communication and language (including early literacy and numeracy) and social and emotional development. In addition, the framework has a focus on successful transition to formal schooling. The Early Years Learning Framework (EYLF) is an Australian early childhood curriculum framework, which guides our educators in developing quality, kindergarten education programmes at Lady Forster Kindergarten. The framework describes the principles, practice and outcomes to support and enhance young children’s learning from birth to five years, as well as their transition to school. 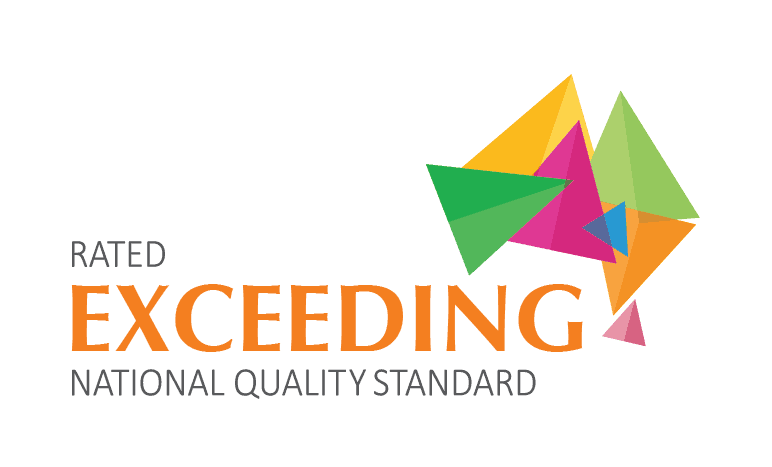 The Framework helps to ensure consistency in the delivery of learning programmes around Australia. The VEYLDF describes each of the 5 Outcomes for children (EYLF) from birth to eight years, linking the learning outcomes from the Early Years Learning Framework for Australia to the first three levels of the Victorian Curriculum F-10. The Outcomes provide a shared language for all early childhood professionals and families to use when planning for children’s learning and development. The VEYLDF identifies eight Practice Principles for Learning and Development, which describe the most effective ways for early childhood professionals to work together and with children and families to facilitate learning and development. 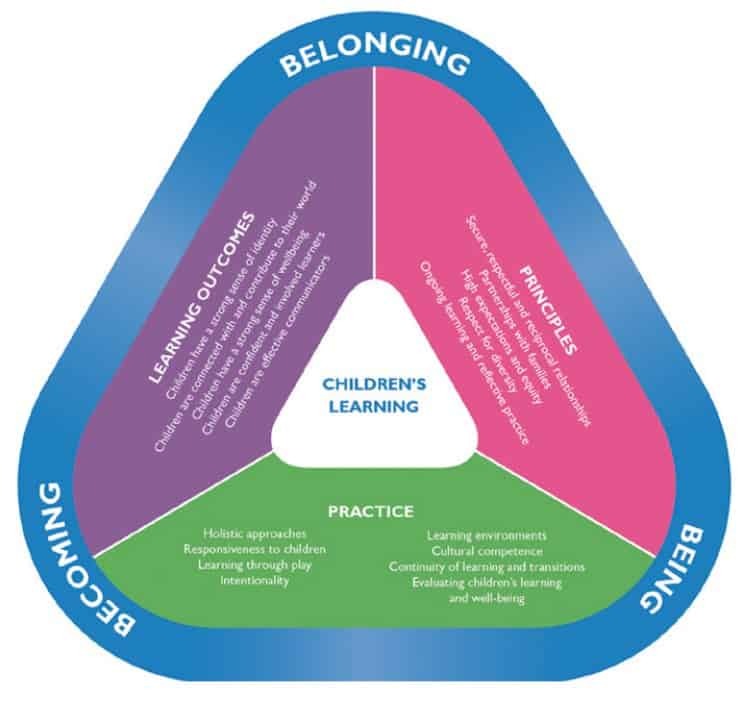 The Practice Principles are based on the pedagogy of the Early Years Learning Framework for Australia and evidence about the best ways to support children’s learning, development and wellbeing. The VEYLDF emphasises the importance of supporting children’s and families’ transitions as they move within and across services throughout the early childhood period. All children experience learning that is engaging and builds success for life. Fundamental to the Framework is a view of children’s lives as characterised by belonging, being and becoming. From before birth children are connected to family, community, culture and place. Their earliest development and learning takes place through these relationships, particularly within families, who are children’s first and most influential educators. As children participate in everyday life, they develop interests and construct their own identities and understandings of the world.